Outrigger founders Roy and Estelle Kelley opened their first hotel in the Hawaii resort destination of Waikiki in September 1947. As Outrigger Enterprises Group celebrates its Founders Day, it is excited to announce the launch of a dedicated beachfront resort brand – Outrigger Resorts. This includes its existing world-class properties in Hawaii, Australia, Fiji, Guam, Thailand, Mauritius, and now the Maldives, as well as future resorts planned for China, Vietnam and elsewhere across Asia Pacific and the Indian Ocean. Outrigger currently operates 15 full-service resorts in seven countries with plans to open two to four additional Outrigger Resorts annually over the next decade. “Our goal is to be known as the premier beachfront resort brand in the world,” said David Carey, president and chief executive officer, Outrigger Enterprises Group. “I’m proud to be making this announcement on Outrigger’s Founders Day because this refreshed brand strategy and vision was born from more than 67 years in the hospitality industry. “We know beachfront destinations, and have the experience to do it better than anyone else. Set in spectacular locations on some of the world’s most incredible beaches, each Outrigger Resorts property focuses on delivering culturally authentic guest experiences and signature amenities. 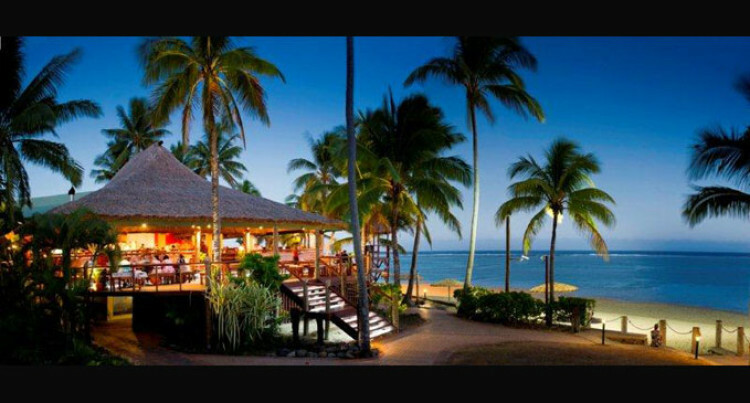 This is to include iconic beachfront bars, exceptional spas and a premier Voyager 47 club lounge. This unique approach to hospitality deepens the company’s understanding of and appreciation for local host cultures. The Outrigger Way has been adapted globally at every property to embrace authentic cultural programmes and amenities that underscore Outrigger’s commitment to its guests and local communities, and the relationships between host, guest and place. Outrigger’s newly-focused brand vision also includes a refreshed corporate look and marketing campaign. An updated logo highlights the company’s iconic Outrigger canoe, which evokes a sense of discovery and exploration. The new colour palette includes ocean blues and tans and browns that speak to the pristine natural environment where Outrigger properties are located. Outrigger’s new advertising and marketing campaign, “Find Out. Find Outrigger,” prominently features Outrigger’s gracious hosts from around the world along with vibrant destination photography that brings the unique stories of each Outrigger property to life. “With our brand revitalisation, we are creating a solid foundation that will help fuel our future growth and build upon Outrigger’s position in the hospitality industry,” said Carey.